The image shown here is a close up of one numeral on the Vacuum Fluorescent Display tube. The two fine hot wire cathodes can be seen running across the picture. 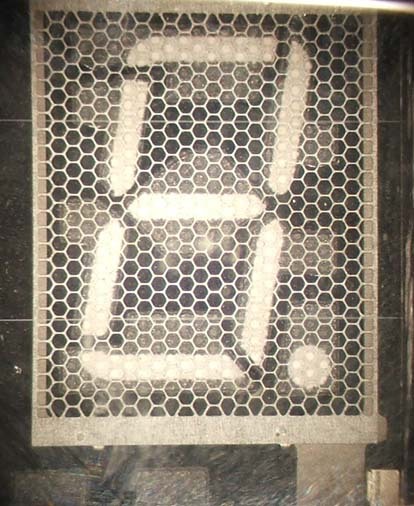 The mesh grid can be clearly seen in front of the 7-segments. The anode segments, including the decimal point, have the fluorescent paint printed on them. 'Click' on the "Back" icon to return.